I have always loved to bake. My sister, cousin, and I would spend holidays with my grandmother, and she would always bake up something yummy with us in the kitchen. I specifically remember spending several spring breaks with her, baking Easter treats. One kitchen rule that she taught us was that the end result can only be as good as the ingredients used in the recipe. As I’ve grown older, I have learned how true this is. Whether I’m baking gluten-free items, paleo items, or traditional treats, I now use Bob’s Red Mill premium flours. Today, I’m partnering with Bob’s Red Mill to bring you this sponsored post and delicious recipe for Thumprint Cookies. Thumprint Cookies are an excellent treat to make over spring break. 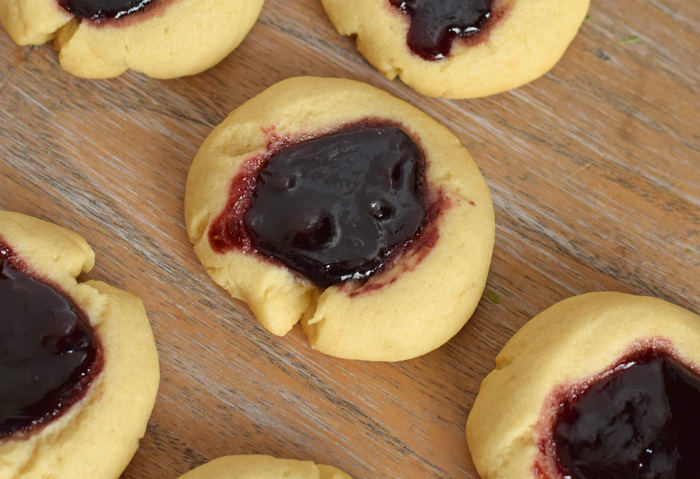 They consist of a traditional sugar cookie recipe paired with your favorite jam variety. The kids love to help out by making their thumbprint in the cookie, and, since it is a simple recipe, the kids can help from start to finish. If you have multiple kids who each enjoy a different type of jam, the cookie can be customized for individual preferences. We made these blackberry flavor today because it is my and one of my son’s favorite flavors. Bob’s Red Mill Organic Unbleached White Flour contains no additives. It is used by professional bakers and creates light baked goods. 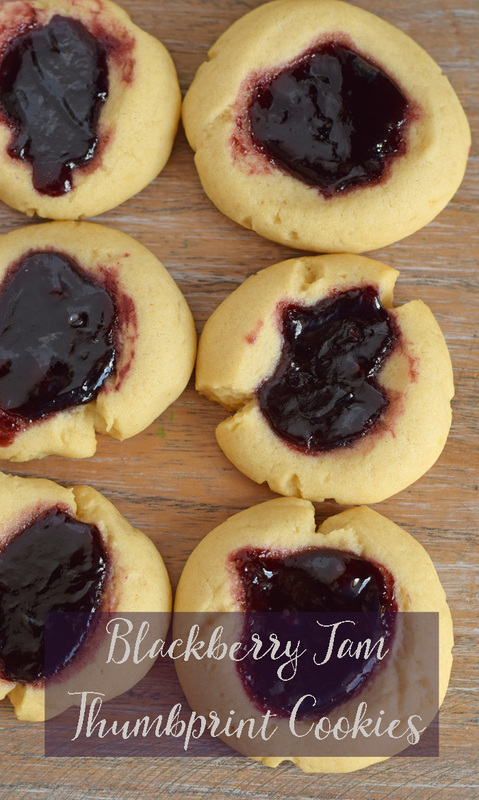 These Blackberry Thumbprint Cookies turned out so airy! With an electric mixer, mix the butter and sugar. It should form non-clumpy consistency. From this point, add the egg, salt, baking soda, and vanilla and mix until all the ingredients are equal throughout the dough. Gradually add the flour into the mixture in 1/4 cup increments. This will help the flour incorporate through the dough better and will help keep your work surface clean. Be sure to stop the electric mixer a few times and scrape down the sides of the bowl so that all of the flour is mixed thoroughly with the dough. Wrap the dough in plastic wrap and refrigerate for an hour and a half. When ready to bake the cookies, preheat the oven to 350 degrees. Spray a baking sheet with non-stick olive oil cooking spray or apply parchment paper to the baking sheet. I did two baking sheets, one each way, and both sets of cookies turned out the same. 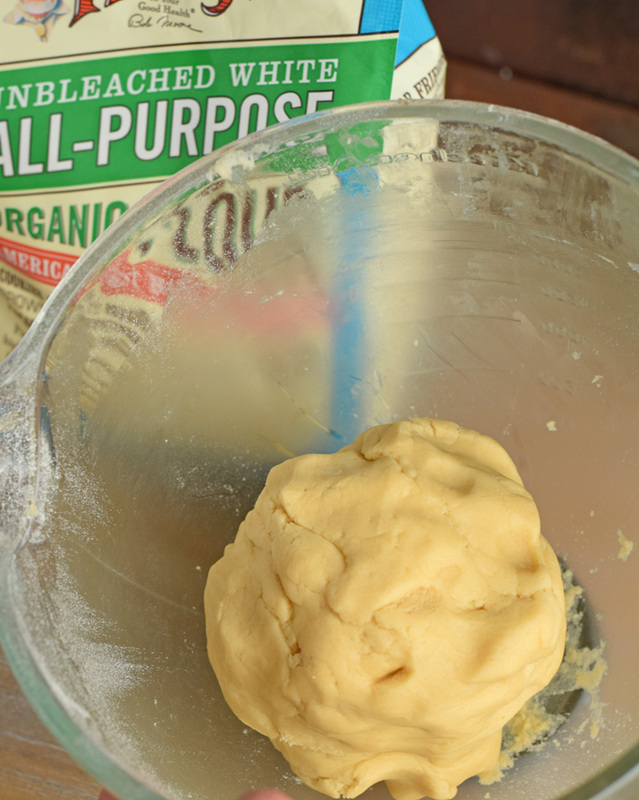 Scoop out a tablespoon of dough and roll into rounds. Place on the baking sheets approximately two inches a part. Have the kids wash their hands and press their thumbs into the center of the dough, creating an indention for the jam. Place jam in each well. Bake until the edges of the cookies begin to turn brown. I typically check mine after 10 minutes, and then every two minutes after that until they are done. Do you have any treats that you remember making from childhood or that you make now with your kids? Another Easter favorite of mine is Hot Cross Buns and Resurrection Rolls! My Kiddies would love to make these!! They look like an awesome weekend baking project! I have such a soft spot for cookies. I just love them and these thumbprint cookies look so delicious. I like the idea of having the kids help with the baking that sounds like a lot of fun. Thanks for the recipe! Yummy! I love a good cookie with some jam on it, it reminds me of the cookies my mom used to make when I was a kid. She learned a recipe from her grandmother but they took all day long so she rarely made them for us. This seems like the best way to recreate that! 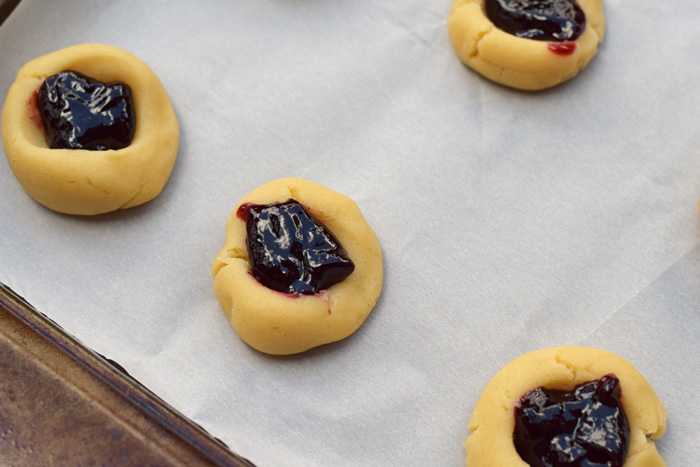 These Thumbprint cookies look so delicious! I know that my family would love these, and I love how simple they are to make. 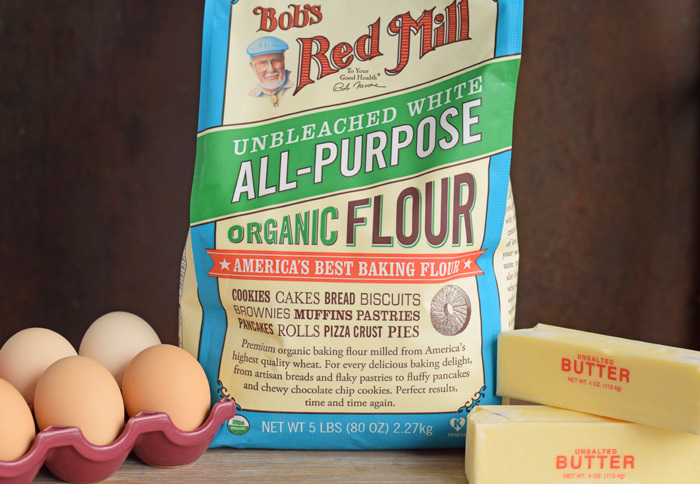 And you can’t go wrong using Bob’s Red Mill flours! I love thumbprint cookies! 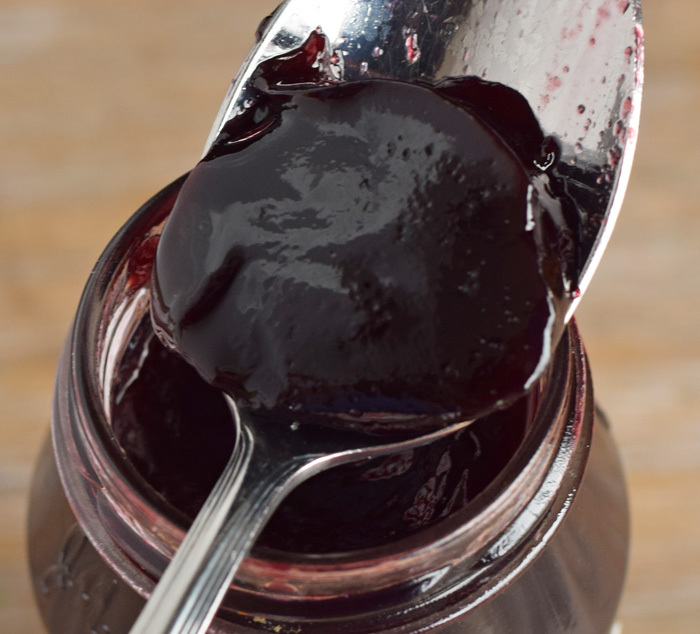 I dont know that I have ever made them with Blackberry jam though. Usually I use peach or strawberry. I will have to try this recipe too. Looks perfect for spring! This is my kind of comfort food a healthy treats from a long day at work. Lately i tried to cut off my sugar but this tasty cookies is something that is hard to past. My family will sure love this as well. And i cant wait to make it this coming days.